Is It The Right Time To Leave Your Job For CAT? The hefty amount of money, a big bundle of energy and two years of your time, I am sure these factors always haunt you when you think about leaving your Job for CAT. The saying ‘Few people achieve their dreams by playing it safe’ may be a motivating quote to quit but what remains equally valid is that ‘Taking unnecessary risks is plain stupid’. Is there a way to make a decision? Yes! Here are some points that will help you make an intelligent and informed decision. When you are not working from 9 to 5, do you see yourself working and striving for a premium college on regular basis? Are your thoughts crystal clear regarding the last leg of your education? Done answering? Now, let’s reason it out. If you can see yourself working hard and with diligence, once you’ve left your job, then there cannot be a better time than August to leave your Job. CAT requires continuity and hard work, but eventually, it is the basic concepts of aptitude that are tested. If you believe in your hard work and have faith in yourself, two to three months will be more than enough for you to reach the target. And if there is even a minor doubt on the intensity of effort you will put in, there is a high probability that you will lose track in between and the sacrifice of the job and the money will go to waste. Before making a decision, please ensure that your life goals are in alignment with the business course. Because once you are determined, and your mind is set on the goal, CAT is no tough nut to crack. All that is required is perseverance, determination and hard work. If you think that’s too much to ask for, then believe me, it will all be worth it in the end. Hailing from the beautiful city of Ajmer, books and art are two things that can define Anukriti in the optimal manner. Mechanical Engineer by profession and a writer by choice! She carries on with the belief that MBA will consolidate these two in the best manner. 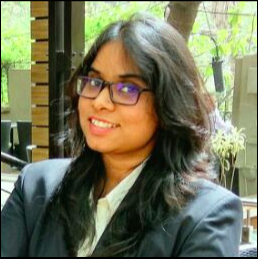 Scoring 98.29 with 99.20 in Quant and entering IIMU was not an easy task, and people at Inside IIM helped her in uncountable ways. Being able to be of help to anyone through her writings is something she is looking forward to! Nicely written and quite helpful especially for people confused about leaving their jobs..! Thanks a lot.. Lot many key takeaways for Cat aspirants! Great Article! Informative and insightful! Insightful, thanks for the information! A short and precise take on the issue. 10/10. Really motivating ! Good job done. Fabulous article! Keep it going. Thanks, I am glad it was of help! Thanks Anukriti…You have surely helped a lot of confused minds to make a decision..
keep up the good work dii. Thanks it is valuable and motivational for aspirants..